Hose couplings and reducers are useful little helpers when it comes to installing the technical components. 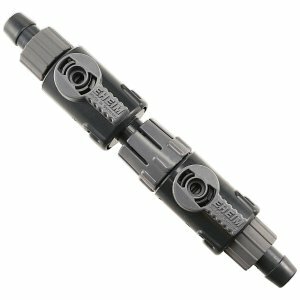 There are hose couplings with control valves that make taking out individual components of the filter cycle for cleaning and maintenance very easy. 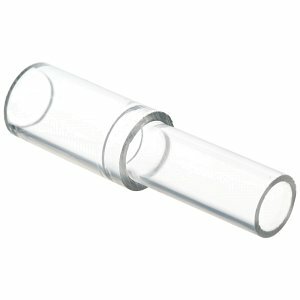 Glassware products can thus be removed more easily and safely for cleaning, the danger of breakage is reduced. Optically pleasing clamps or reducers made of glass provide aquascapers with further possibilities to fine-tune the technical equipment of their tanks. If a classic external filter is used, sometimes very individual solutions in the management of the filter hoses and how to lead them where you want them are required. 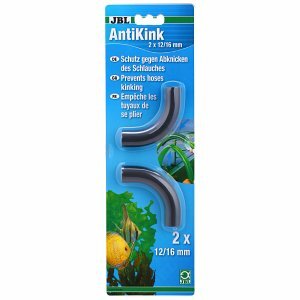 Especially in aquascaping or plant aquaristics, the so-called inline method is often deployed: These are technical components like heaters or CO2 diffusers, that are directly installed into the hose line. 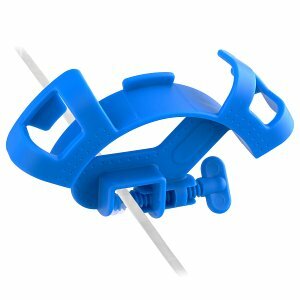 Here, hose clamps are practical aids, capable of securing the majority of all kinds of hose connections. 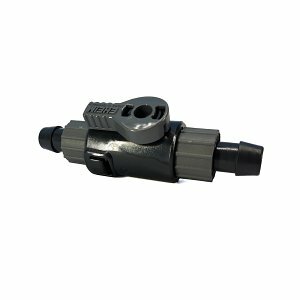 In order to connect different hose diameters, reducers or hose connectors are available in our online shop. We offer these in different materials. Plastic is a common standard in aquaristics, but adapters made of glass and stainless steel certainly better fit the appearance of an aquascape with corresponding filter inlets and outlets made of the same material. 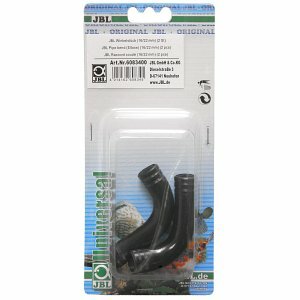 Hose couplings or quick disconnect couplings are - if not already present on the filter housing - important aids in the care and cleaning of the aquarium filter. 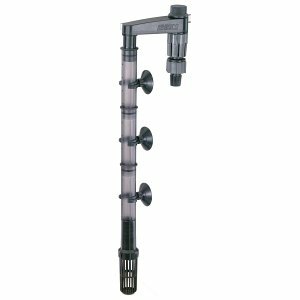 With them you can quickly and easily shut off the water in the filter circuit without having to drain it. Even glass Lily Pipes can be very easily removed from the circuit if equipped with quick disconnect couplings. This is very useful for cleaning purposes. So you won't have to constantly connect and disconnect the Lily Pipe and the filter tubes, thereby reducing the risk of glass breakage. To avoid kinks in the hose line, you can stabilize critical points in the filter circuit with rigid corner guides such as JBL AntiKink. 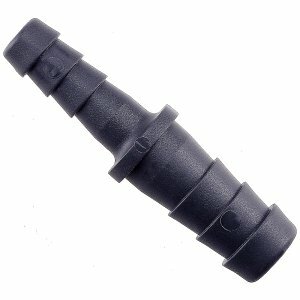 A kink in the filter hose often leads to a flow reduction or even a total blockage. So the flow in the aquarium will stop, preventing the filter from working.